The concepts of evolution and natural selection have very long histories, with the first theories preceding Darwin and Wallace’s by thousands of years. At the dawn of scientific thought in Ancient Greece, about 2600 years ago, a visionary by the name of Anaximander mulled over the origins of human beings. In the end, he decided humans could not have appeared on Earth in their current form. Anaximander’s reasoning was that the young of some animals can look after themselves from the time they are born. Human children, however, need to be cared for for many years. If this had always been the case, humans could not have survived. Anaximander speculated that our ancestor may have been a fish-like creature which gave birth to humans after they had reached an age when they could survive without parents to look after them. He believed the world’s first lifeforms originated in the world’s wetter environments, then spread to the drier regions. About a century after Anaximander, a scientifically minded Ancient Greek philosopher by the name of Empedocles hit upon the theory of natural selection. 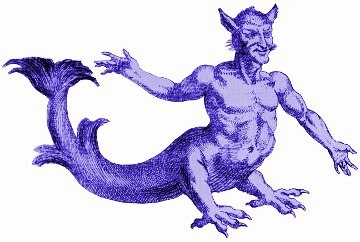 Empedocles pictured the earth in its early days populated by strange creatures – cattle with human heads, arms without shoulders, and all sorts of other monstrous creatures. These strange lifeforms became extinct, Empedocles said. Only the better adapted survived. Although Empedocles had devised a crude theory of natural selection, he did not realize that the process might lead to the evolution of entirely new species. He thought it had simply operated at one time to remove freakish creatures. Now fast forward many centuries from Empedocles to less than 300 years ago. By that time the Age of Enlightenment had begun to take a firm hold among educated people in Europe and North America. 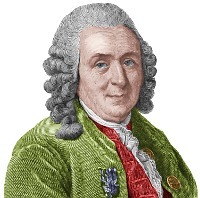 In 1744 the great natural scientist Carl Linnaeus proposed that God originally made just a few starting species on an island. Over time, these starting species interbred, producing hybrids, resulting in a much broader range of species. In 1753 Comte de Buffon proposed a single source for all creatures with four legs. Having had this novel idea, Buffon then promptly dismissed it as incorrect! In 1794 the founder of modern geology – James Hutton – stated the principles of natural selection unambiguously. Erasmus Darwin’s view of evolution comes rather close to his more famous grandson’s. In his 1794 book Zoonomia, Erasmus Darwin appears to suggest it’s possible that all warm-blooded animals have a common origin. The common origin is a filament which evolves over time by its own actions. It’s an interesting thought experiment to replace the concept of ‘filament’ with the concept of DNA. He then goes further, suggesting that over a large number of years there has been a progression of living creatures beginning with plants, then some types of animals, then other types of animals. All of this life has a common origin. Charles Darwin read his grandfather’s Zoonomia while at university and admired it. Later, though, he said it disappointed him, because there was too much speculation and too few facts. 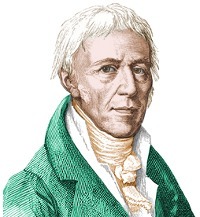 In 1800 Jean-Baptiste Lamarck proposed a coherent but wrong theory of evolution. Lamarck proposed that offspring inherit the characteristics their parents use most. A giraffe that stretched high for leaves would produce offspring with longer necks. Or if your parents worked out often at the gym, you would be born with the ability to become more muscular than if they had spent all their time watching TV. Lamarck believed evolution was a slow, gradual process. In 1813 William Charles Wells read a paper to the Royal Society. In it he stated that different breeds of domestic animals are produced by people selecting the best animals to breed from. Unfortunately, Wells does not make the obvious step (for modern readers) of applying the principle of natural selection to other species. He published his work in 1818. Darwin gave credit to Wells in later editions of Origin of Species, but was unaware of Well’s work while he was working on his own theory. Geoffroy Saint-Hilaire believed that all organisms are related at a deep level. In 1831 he penned a paper with the title Memoir on the Degree to Which the Environment Influences Animal Form. He believed that events in the environment could cause the sudden production of a new species from an existing species. Saint-Hilaire wondered – decades before the discovery of Archaeopteryx – whether birds had been produced by an evolutionary leap from reptiles. Although this sounds remarkably modern, Saint-Hilaire’s theory required a reptile to lay an egg that produced a bird. Nevertheless, his insight was impressive. In Charles Darwin’s time, some British scientists, including Robert Edmond Grant and Charles Lyell, while rejecting Lamarckism, began to believe all lifeforms had the capacity to transform into other species. They noted that the geologic record appeared to show a progression of lifeforms. Robert Edmond Grant – who had taught Darwin at the University of Edinburgh – even proposed a common origin for plants and animals, as Darwin’s grandfather had. However, neither Grant nor Lyell could propose a coherent mechanism for the transformation of species. In 1835 Edward Blyth clearly described how breeders use artificial selection to produce domestic animals to meet specific requirements. He also described how in nature animals appear with slight variations. He identified that the process we now call natural selection would operate on the variations. However, he didn’t notice that this could lead to the formation of new species. In fact, he believed the opposite was true. Blyth thought natural selection would serve to keep animals true to their original form by removing variations that worked less well than the original species. He did not make the intuitive leap that some variations might be better suited to the environment than the original. Unfortunately, rather than answering yes to his own question, he answered no! He still thought natural selection preserved rather than produced species. In 1844 an anonymous author (revealed after his death to be the publisher and geologist Robert Chambers) published a blockbuster of a book entitled Vestiges of the Natural History of Creation. The book’s ideas went wholly against the religious views of the day, saying the solar system had formed naturally from a nebula and that life had been spontaneously generated on the earth. The lowly forms of life had then evolved into higher forms, including man. However, Chambers did not offer a viable mechanism for evolution. Although the science behind the book was sketchy, it captured the imagination of its many readers. As much as the public enjoyed the book, the churches condemned it. Scientists, including Charles Darwin, deplored the book for its – as they saw it – half-baked science. The bickering surrounding the book may have increased Darwin’s reluctance to publish his own theory of evolution by natural selection, which he had formulated in rough form as early as 1839. On the other hand, as Darwin later acknowledged, the book also prepared some people’s minds for the ideas he expressed in his Origin of Species. On July 1, 1858, a joint paper was read to the Linnean Society. The authors were Charles Darwin and Alfred Russel Wallace. The paper told the world of their theory which came to be known as evolution by natural selection. The following year, Darwin released his historic book On The Origin of Species with large amounts of evidence supporting the new theory. By the 1870s the role of evolution in the formation of new species had been accepted by scientists. Many scientists, however, refused to believe that evolution’s driving force was natural selection. Acceptance of this by mainstream biologists only came in the 1930s. This followed publication of Ronald Fisher’s book The Genetical Theory of Natural Selection. In this work Fisher united the previously incompatible heredity concept of Gregor Mendel with the natural selection concept of Darwin and Wallace. Thank you very much for giving me most best information about evolution. thank you for this. i’ve got a project on evolution and i had no idea all this happened before darwin. It is unfortunate that while you quote from Buffon, Hutton, Erasmus Darwin, Wells and Blythe, when it comes to Lamarck’s views, you chose not to quote, but instead to first declare them “wrong” and then present a parody of them (“Lamarck proposed that offspring inherit the characteristics their parents use most”), while failing to mention that he meant only those characteristics forced upon the species by the environment and critical for survival. But worst of all, you paraphrase his giraffe example incorrectly and misleadingly and follow it with a second example of your own invention (“Or if your parents worked out often at the gym, you would be born with the ability to become more muscular than if they had spent all their time watching TV”), pretending it to represent Lamarck, rather than your attempt to ridicule a Lamarck whom you clearly do not understand. And, by the way, after declaring Lamarck “wrong” for believing in use-inheritance, why do you not also declare Darwin wrong for believing in, and promoting, use-inheritance as a vital part of his theory through all six editions of the Origin of Species? 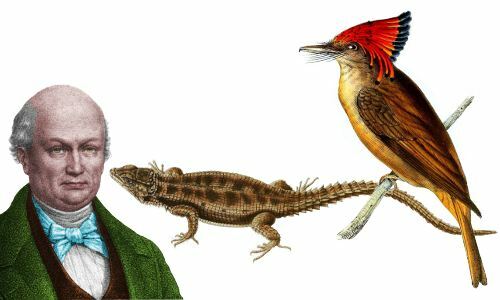 And why has Darwin’s most important predecessor been omitted from your survey? Why have you left out the only thinker whom Darwin ever admitted had published a complete anticipation of his theory? 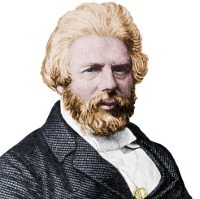 I speak, of course, of Patrick Matthew whose publication of what he called a “natural process of selection” (Matthew’s words) dated from 1831, before Darwin ever boarded the H.M.S. Beagle, and which Darwin could easily have read before picking up the pen to claim the theory as his own. But Darwin should not have called Matthew’s theory a ‘complete anticipation’ of his own views since, unlike Darwin, Matthew did not include Lamarck’s “wrong” (your word) use-inheritance as a part of his theory. Neither, by the way, did Wallace. Only Darwin stuck with use-inheritance. In fact, he never doubted it and pushed it most strongly in the very last edition of the Origin. Thanks for your helpful information Tom. Great piece. Respect to Erasmus Darwin. I’d never heard of Erasmus Darwin. It’s a real eye opener to see what he came up with. Seems that Charles gathered evidence but a lot of the brain work had already been done by his grandpa.